2019 Packaging Trends: Ethical, Flexible, Luxurious, READY. 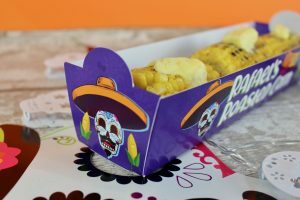 2019 is a year to watch when it comes to packaging. 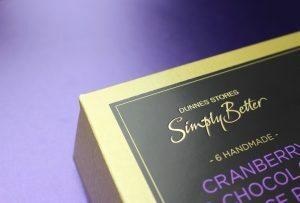 Packaging is becoming a critical USP for both brand and consumer. With over 40 years in the industry, here’s our predictions! Packaging Trends: Consumers are starting to become more ethically aware of their shopping bags and are adopting positive changes to their habits. As a result, they are asking questions such as: Is it low in fat? Low in sugar? Vegan? What material is it made from? Is this recyclable? Can I reuse it? Eco-friendly products kick starts our packaging trends. Above all, we ended 2018 with major brands stating a major change in their packaging. For Instance, over forty of Britain’s biggest supermarket, food and drink brands pledged to eliminate throwaway plastics within just 7 years (Dailymail.co.uk, 2018). The British Retail Consortium stated that “Retailers are continuing to reduce the amount of packaging and ensure the packaging they do use is recyclable” (Mirror, 2018). After the Blue Planet documentary graced our screens, the talk of the nation was the wise words Sir David Attenborough spoke, advising us to think about our use of plastic. As a result, the Mirror found that two-thirds of families are now reusing water bottles, while another 60% said they were buying fruit and vegetables loose. 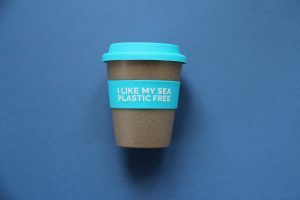 In addition, the threat of tax on single-use plastics is hopefully motivation enough for brands to consider biodegradable packaging. Carton board is 100% biodegradable and here at Priory Press Packaging, our food packaging is fully recyclable and compostable. So, what’s that like for motivation? It’s as simple as that, vibrant, strong and eye-catching packaging ideas can also be good for the environment too. Moreover, with our shiny new High Hygiene BRC AA grade certification for direct food contact, it couldn’t be a better time to jump on the ethical packaging trend. Secondly, flexible in size, weight and movement. This is one of the most sought-after packaging ideas due to its cost and versatile structure as well as less material waste. We have had our fair share of quirky shaped packaging ideas to conjure up but luckily, carton board material is our friend. 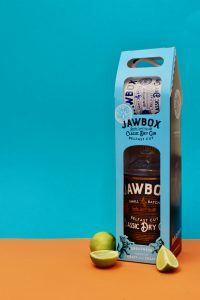 Check out our gift sets for Jawbox Gin, the perfect melody of flexible/strong to carry the desired weight. Who doesn’t love a bit of luxury? Brands want to make their products feel good and look amazing. Every inch of it must catch the consumers eye. This year, we can expect to see a beautiful range of luxury in all aspects of our supermarkets. From foiling, window-patching, UV spotting and popping colours, Priory Press Packaging have everything you need to make your product stand out from the crowd. Finally, gone are the days of ‘faceless’ takeaway food boxes. Fast food can be exciting too! A growing demand to have products at the tip of our fingers in a flash is evermore growing. Customers increasingly perceive packaging as a core part of brand communication. But sometimes brands can lose their personality through the simple, chunky takeaway containers which they often also, can’t recycle. Our High Hygiene AA grade certificate is going to open lots of opportunities for our food-to-go sector and we’re excited to see what new packaging ideas tickles our taste buds. Start your story with us! PreviousPrevious post:5 Eco-Friendly Ways To Show The Planet Some Love!NextNext post:Priory Press Awarded Highest High Hygiene Grade!